First CDs arrived right from Japan! At first sight I’m particularly happy with the Julio De Caro milonga and tango recordings. Some years ago I attended a tango marathon and while I was dancing a never heard milonga has been played: Mi vieja linda. It has been an unforgettable moment of dance. Even though I never heard this tango before it sounded familiar to me. That might sound paradoxal but it confirms that well dancable tangos you might play for the first time form some kind of exception when it comes to acceptance by the audience. Generally people I have been talking to, don’t like too much to dance to music they don’t know very well. When I played this milonga for the first time at a local milonga in Brussels, it had the same déjà vu effect on the most recalcitrant dancers. 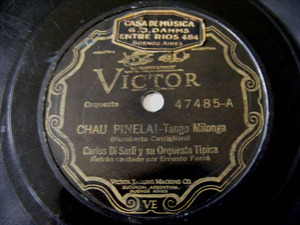 As I later was told, this milonga has been performed by the Orquesta Emilio Pellejero in 1941. 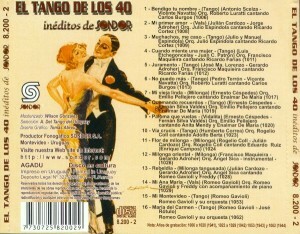 I found a recording at the Uruguayan record label Sondor the CD is called El Tango de los 40, Inéditos de Sondor, Sondor catalogue number 8.200 – 2. 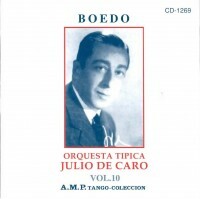 According to Todotango.com Emilio Pellejero recorded some other tangos with Sondor but to my knowledge none of these recordings seem to be reissued on CD. The person record on Tango.info is even more limited and states that the overall performances of this orchestra is estimated to 4. All these performances point to the two Sondor CD samplers El Tango de los 40, Inéditos de Sondor and Tangos para la Historia (1944 – 1948) with reissued tangos mainly recorded in Uruguay. Curiously Tango.info just shows a birth date for Emilio Pellejero, as he was born the 1st of January 1911, he might party his 100th birthday in a couple of days if he is still alive. They all work perfectly well together and are on the same Sondor CD. It is also worth to note that Sondor’s masters seem to be in a bad condition or that they have grabbed these tangos from a damaged 78 RPM. I would really love to get hold on better quality recordings. Recently I was discussing with a friend who is a milonga organiser about how he handles the royalty payments at his milonga. Normally as a DJ or dancer you don’t need to care so much about these issues and when you own a title or CD you have a personal use license. The organiser of a milonga on the other hand has to care because the collecting societies are watching. As the friend is playing quite often music from one particular contemporary argentinian tango orchestra with whom he has a friendship relation, he told me that he puts explicitly the names of this orchestra on his listing that he transmits to the collecting society but when he later asked the friends if they received any money from Belgium they answered: “No”. Strange isn’t it? The money seems to get into some pool and the retribution doesn’t seem to be related to what is really played but to some other obscure factors. So if you play Di Sarli at a milonga the collecting society and the majors might give the money to Madonna or some other idol not directly related to tango ;-). Some people asked me about the cortinas I play between the tango tandas. The musical genre is called rembetiko. These rembetikos are original recordings from the 1930s and 1940s. Wikipedia says about rembetiko: […] Rembetiko is a kind of Greek cultural music that developed around ports and urban centres in the end of the 19th and up to the first half of the 20th century, with the bouzouki as its main instrument. 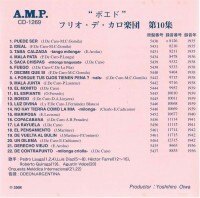 […] Like several other urban subcultural musical forms such as the blues, flamenco, fado, and tango, rembetiko grew out of particular urban circumstances. Oftentimes, but by no means always, its lyrics reflect the harsher realities of a marginalized subculture’s lifestyle. Thus one finds themes such as crime, drink, drugs, poverty, prostitution and violence, but also a multitude of themes of relevance to Greek people of any social stratum: death, eroticism, exile, exoticism, disease, love, marriage, matchmaking, the mother figure, war, work, and diverse other everyday matters, both happy and sad. (voice of stratos) jia sou anestos mou derwisch! and I was storming out of the tekedes, and go into the tavern / booze and a few glasses of wine this year’s harvest / “crazy” by the drink, I leave the tavern, I’m going home and I’m in very good mood. When I started digitising my existing tango CD collection, I thought that OGG Vorbis would be a good choice as a compression format. Especially the El Corte DJ manual stresses that most of the older tango recordings until the wider spread of the stereo recordings in the late 50s contain rarely more than 100 Kbit of information and therefore a low bitrate MP3 compression should be the most suitable. So I went for OGG Vorbis as the digital audio format for my collection because I’m a Linux user for more than 15 years and OGG Vorbis is an open source codec very common on all major Linux distributions. 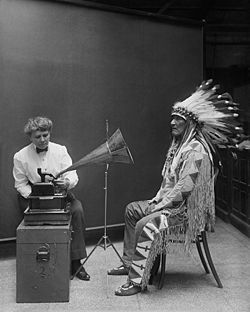 OGG Vorbis is also known to provide better sound quality at lower bitrates than MP3. Another important reason why I didn’t use MP3 are the patent and license issues involved with this codec. After some weeks of hard encoding work I received more and more up-to-date information about the encoding chain, which I will explain later, and most important, the existence of lossless audio codecs, like FLAC. I also read some tests results which I have been able to reproduce partially in my home studio: OGG Vorbis encoding creates artifacts especially at lower bitrates and partially damaged source audio files, like old tango recordings. Let’s mention the short pops of a vinyl recording which can result in a drop like end result with a lossy codec. I therefore decided to drop everything and to reencode the whole collection in a lossless audiophile format. The advantages are that I have now a CD-quality digital collection on my computer with a very nice sound timbre, every song can be tagged like with Vorbis or MP3, you can even embed the cover art (front, back, inline, etc) and several pages of scanned CD folders into each song title! FLAC is also based on an open-source license and there are no patent issues. Among audiophiles it is currently traded as the best lossless codec with the highest audio quality and interoperability. Once the collection is in a lossless form it can be transcoded into any lossy (MP3, OGG Vorbis, etc) or other lossless formats and one can even go back to WAV for restoring the initial Audio-CD. One of FLAC’s disadvantages is the larger need for disk space than for lossy formats. Typically it reduces the original audio material to around 42% of its initial size. Which is a fair compromise as hard disks are cheap and large today. My current encoding chain is as follows: I use an external USB connected LG GE20-LU10 Multidrive to read the Audio-CDs. The extraction of the audio stream and FLAC encoding is done via the graphical frontend K3b which uses the excellent command line tool Cdparanoia. Cdparanoia reads audio from the CDROM directly as data, with no analog step between, and writes the data to a file or pipe in WAV, AIFC or raw 16 bit linear PCM. The data gets then transcoded to FLAC on the fly and ends up in my Music folder for further processing. Not to forget, before inserting the CDs into the drive I clean them. I recognised the importance of this step as one CD didn’t pass the encoding process and the encoder exited after a few tracks. After cleaning and repairing of the scratches it passed without errors. Also, when the CD is dirty certain sectors might not be readable and the encoder could apply some undesired interpolation. Next step is tagging the song titles as the provided info via CDDB is often incomplet and contains a lot of typing errors. For the moment I’m happiest with Easytag, it has a very interesting scanning function which permits for batch editing all song titles at once (also across several albums) and can add cover art into the FLAC metadata fields. I mostly use the Tango.info database to crosscheck all titles and correct errors, adding the recording dates and singer names. (I haven’t yet worked out how to directly integrate the Tango.info database into my tagger as their tools seem to be crafted mainly for Windows but I will certainly dig deeper into this soon as it could save some time.) As the Tango.info database is still incomplete, Bernhard Gehberger’s tracklistings are a very good hint for crosschecking, he did an excellent job by providing his tracklistings and other resources on-line. I also use Egon Ludwig’s Tango Lexikon (in german language, ISBN 3-89602-294-6). It contains a waste discography of 78 RPM, LP records and CDs. It seems to be out of print but there might still be some copies around. To my mind the tagging part is really important and it needs to be done in a very precise manner. 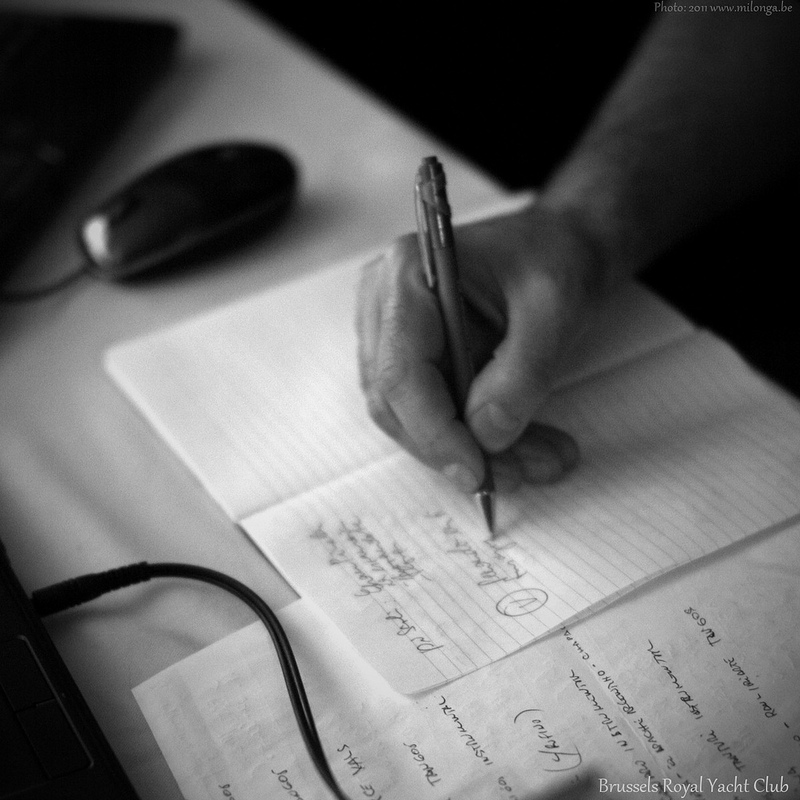 It’s simple: when the song titles cannot be found later, they cannot be played ;-). For my first DJ-sets I used the Rhythmbox player software which maps on the Itunes way of working. I later decided to migrate to Mixxx as I want to adopt an improvised way of presenting the live set. I still use Rhythmbox for easily browsing my collection and for my private playback. But I’m not happy with these playlist based programs. So I turned to Mixxx which enables me to see the waveform of each song and to organise my collection into crates. It also has a BPM detection and writes the collected info back into the FLAC metadata. With the multichannel sound card support, I can connect a headphone to a second sound card and pre-listen while the live stream is running. It also works on 64bit systems and takes advantage of multi-core CPUs. Mixxx runs on a variety of operating systems like Linux, MacOS and different Windows versions. It cuts off all sound effects and other programs using the sound card (I still remember my worst dancing experience when the DJ at my local milonga, no names, received a Skype call during his Pugliese tanda, dring, dring, dring … :-)). The Mixxx software runs rock solid on my Ubuntu Linux Laptop and there seem to be more features and design improvements to come after this summer. There is an interesting feature I haven’t used yet: Live streaming via a streaming server. I will test this soon. I still use my Ipod classic for mobile playback and to dig into my collection. I’m not happy with it though as it doesn’t support anything else then MP3 and some Apple codecs but in revenge it has a big hard drive. So I just transcoded the whole collection from FLAC to MP3 to upload the copies on the Ipod (it takes a night to run through the whole collection, only for using the Ipod!). Meanwhile I’m dreaming of a FLAC mobile player with a big hard drive. After some search I found the SoundKonverter graphical interface which uses also Cdparanoia to do the batch transcoding for the Ipod preserving most of the metadata tags from the FLAC files. I end up with two music folders, one with the ripped CDs in FLAC format for the live DJ-sets and one with the transcoded MP3 files for my Ipod. 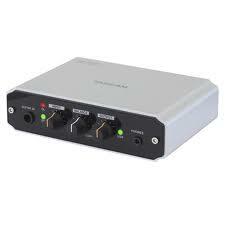 My main sound card for the PA system is an external Tascam US-100, it also has a connector for a turntable and could be used later to record LPs and 78 RPMs since the late 50s as it integrates a RIAA preamplifier and ground connector (earlier 78 RPM records use different preamplification schemes and you need to map these curves accordingly, see this interesting article from Tangovia). I like the volume button on the device which permits to control the loudness during the live set with a real hand as I don’t want to use replay gain. This is mainly because I prefer to adapt the volume according to the audience and trust my sound perception. For some difficult playbacks of poor quality recordings I use sometimes the equilizer function of Mixxx to adapt the high, mid or low ranges. Most of the time the raw stream of my encoded music provides the best music experience. in 1 day and 17:19 hours. in 6 days and 18:19 hours. in 14 days and 20:19 hours.